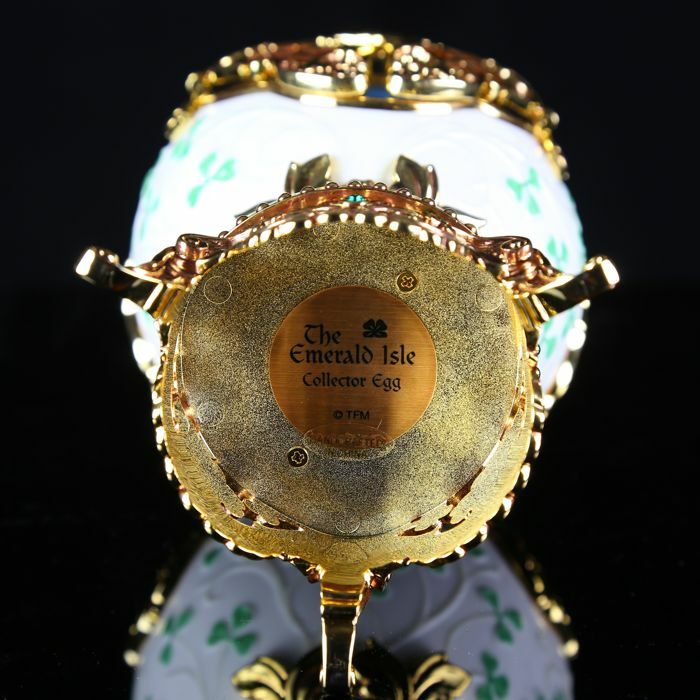 A large (23 cm tall) and rare "Emerald Isle" Collectors egg. 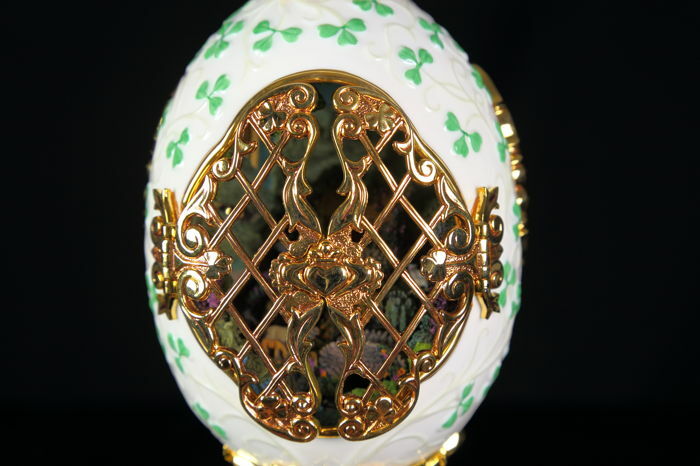 This egg was produced by The House of Faberge & TFM in the 1980's. 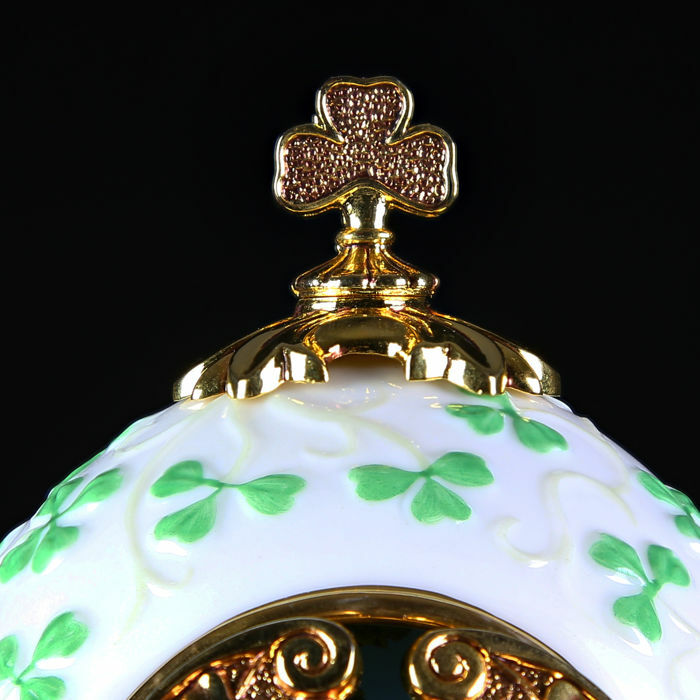 It is in an Irish/St Patrick's theme. 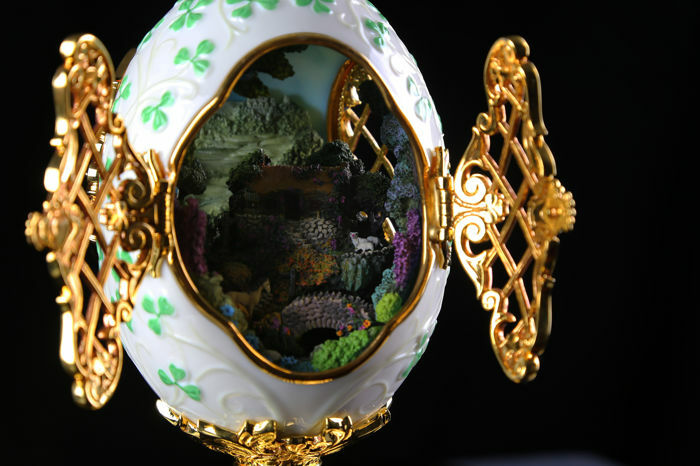 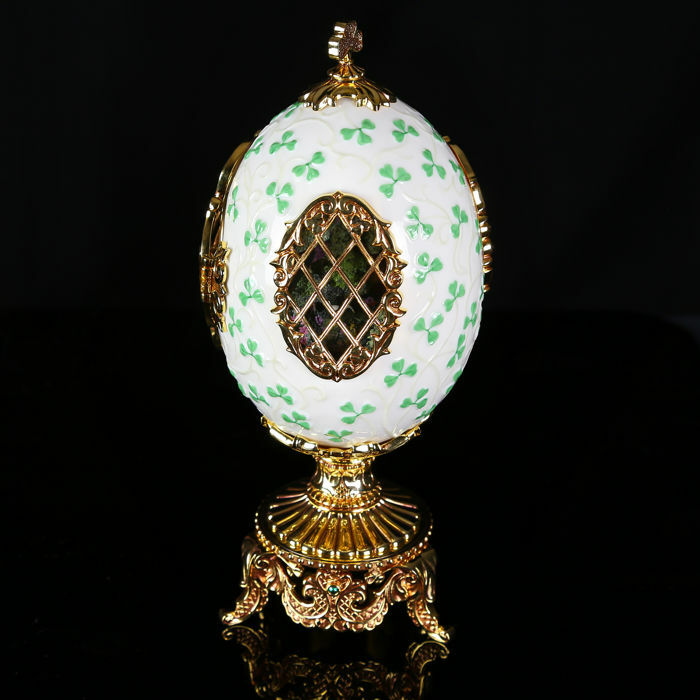 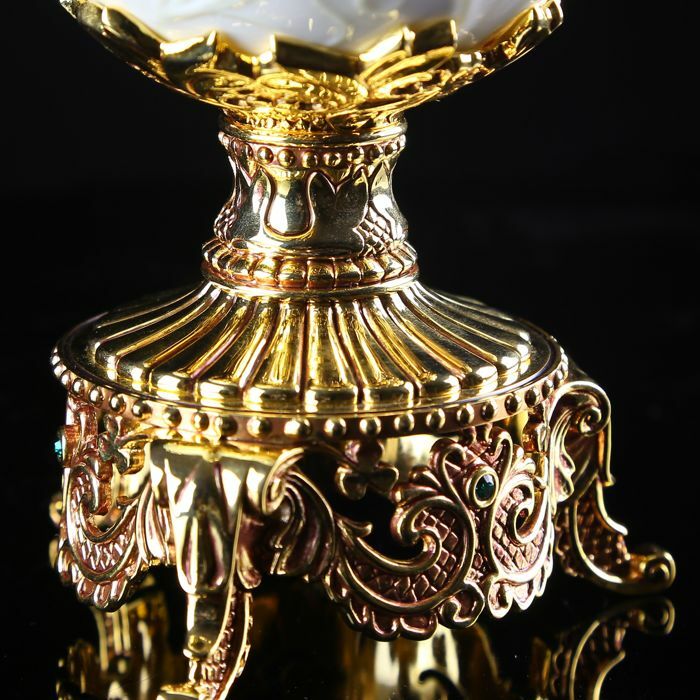 The egg body is made of white porcelain and has green shamrocks painted on the surface with one in gold plate on the top. 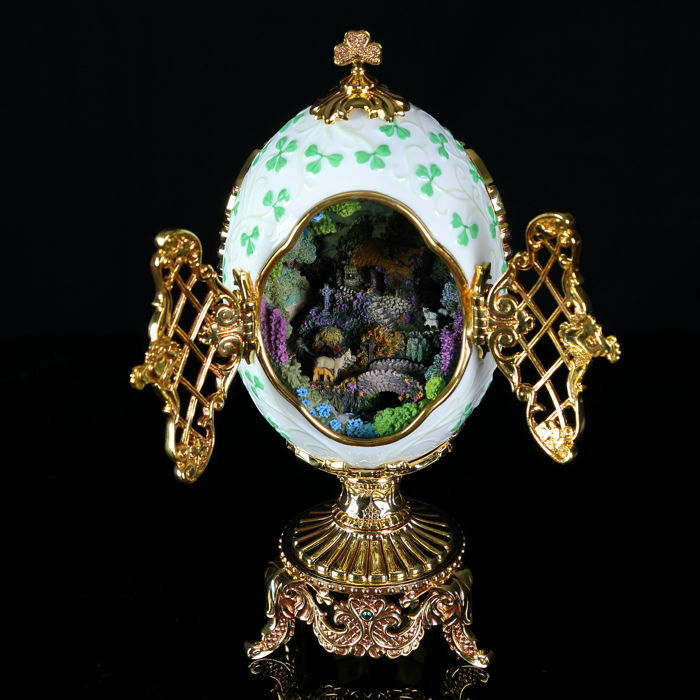 It features two ornate 24K Gold-plated doors that open to reveal a vivid and colorful 3D landscape of a little Irish cottage, waterfalls, stone stairs and a bridge surrounded by luscious forestry. 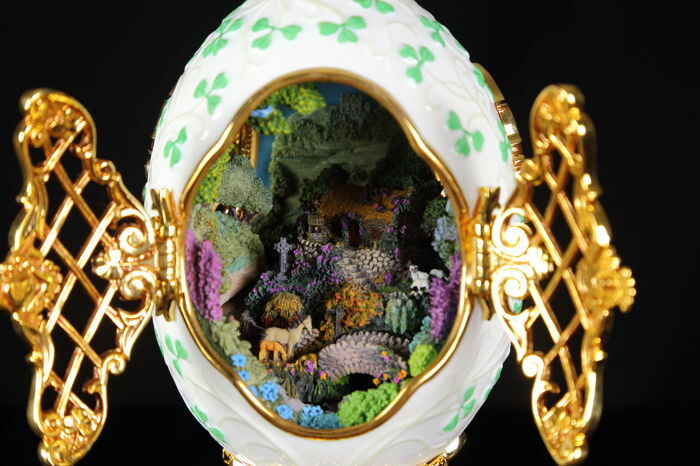 There are 2 additional windows through which this scene can be viewed. 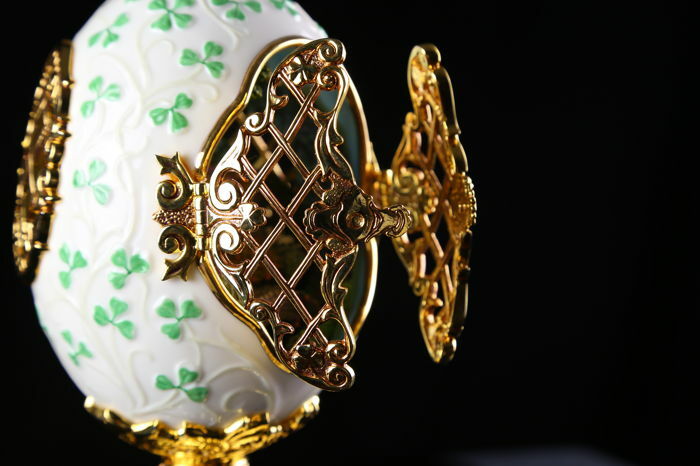 The gold-plated door features a Cladaugh, which is a traditional Irish ring representing love, loyalty, and friendship (the hands represent friendship, the heart represents love, and the crown represents loyalty). 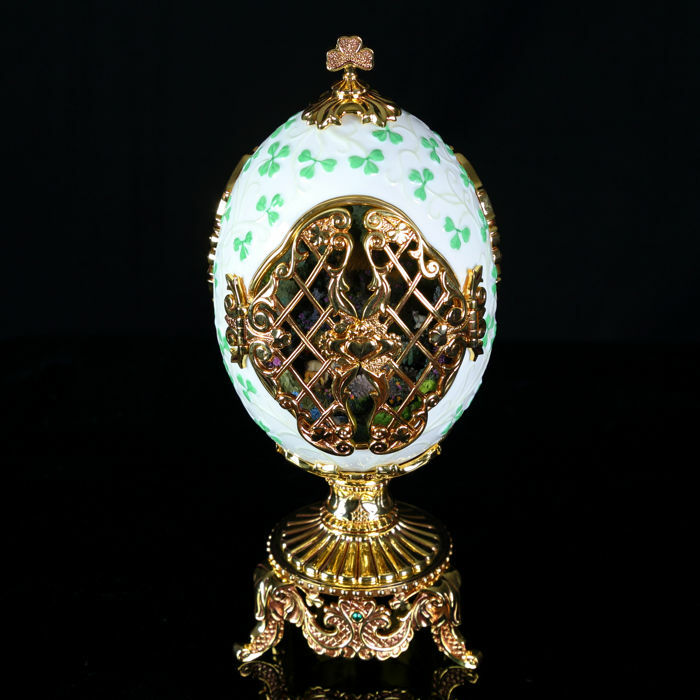 This is a truly stunning egg. 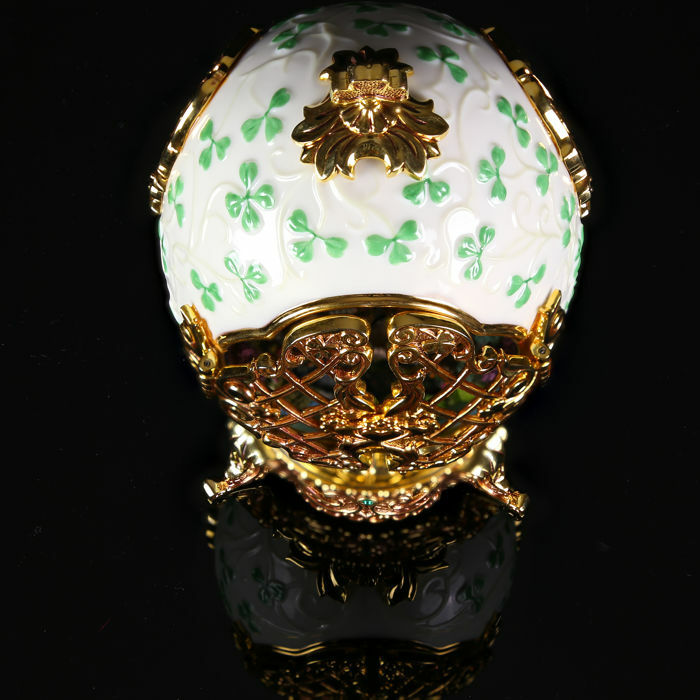 It is in new/mint condition and comes with original packaging and box. 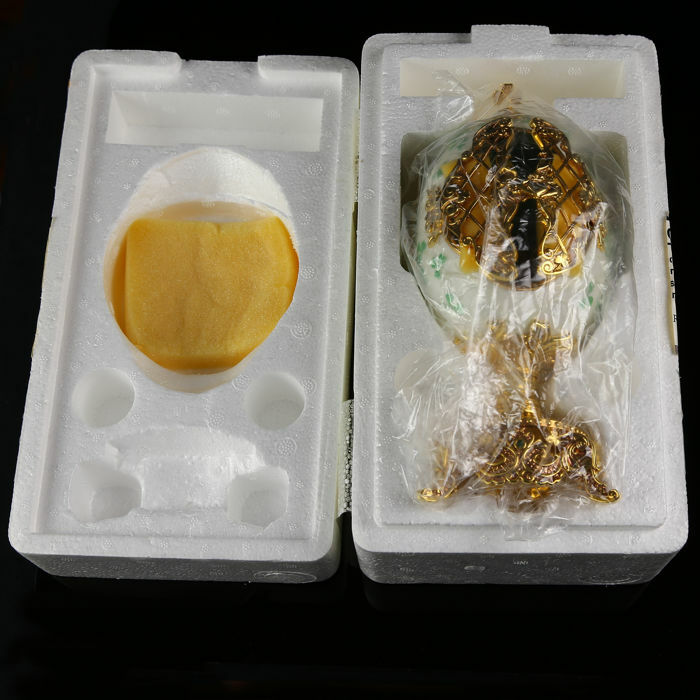 This item will be carefully packed and shipped via registered and insured mail.